I know that this time of year, everyone is counting down to payday so I thought it would be fitting to draw your attention to Superdrug exclusive makeup brand, MUA, also known as Make Up Academy. 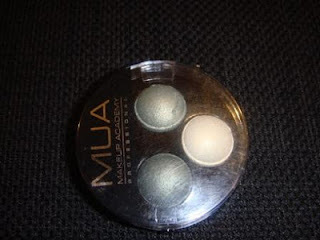 Every item in the MUA range costs just £1 and the recently launched MUA Professional range is equally wallet friendly. 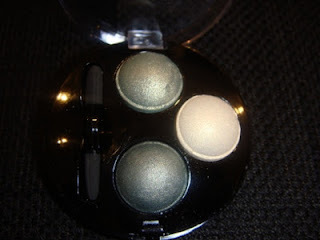 I was sent the Trio Eyeshadow in Eden to try which contains shimmery shades of green along with a light gold for highlighting. 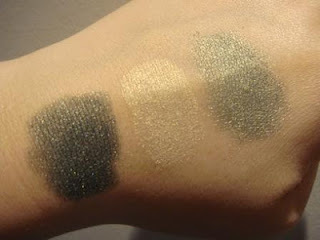 The eyeshadows themselves are soft to apply making them easy to blend yet not so soft that there's "drop". The pigment isn't half bad either! The colours offer a great way to add a twist on a classic smokey eye and at just £2.50 for the trio (that's around 85p per colour! ), it's an affordable way to try new colours which you might not normally consider.